Crossroads Cattle Company, LTD. (CCC) was established in August of 2002 by Leslie Callahan and Jennings Steen. Although considered relatively “young” by cattle industry standards, Les and Jennings brought with them extensive experience in feeder cattle procurement and sales as well as having collectively spent 20 years in the cattle feeding industry and the boxed beef marketing arena. After spending a good number of years working for established operations throughout the United States, Leslie and Jennings had a desire to form a cattle marketing company built on traditional values, respect and long-term relationships using technological advances that allow today’s cattle industry to operate more efficiently than ever before. Crossroads Cattle Co. is affiliated with Thigpen Livestock Co. (TLC) of Chilton, Texas - an industry stalwart throughout Texas and the Southwest for many years. Thigpen provides administrative services to Crossroads in the form of invoicing, as well as accounts payable and receivable. 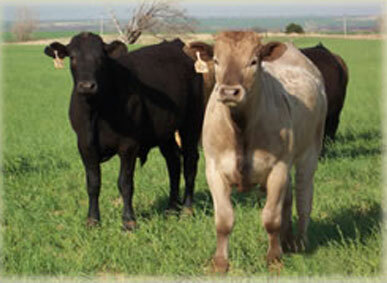 Although their primary focus is, and has always been, to become a formidable player in the direct feeder cattle trade throughout the United States, their affiliation with Thigpen provides access to calves and yearlings from auction market sources throughout Texas for Crossroads' valued customers.